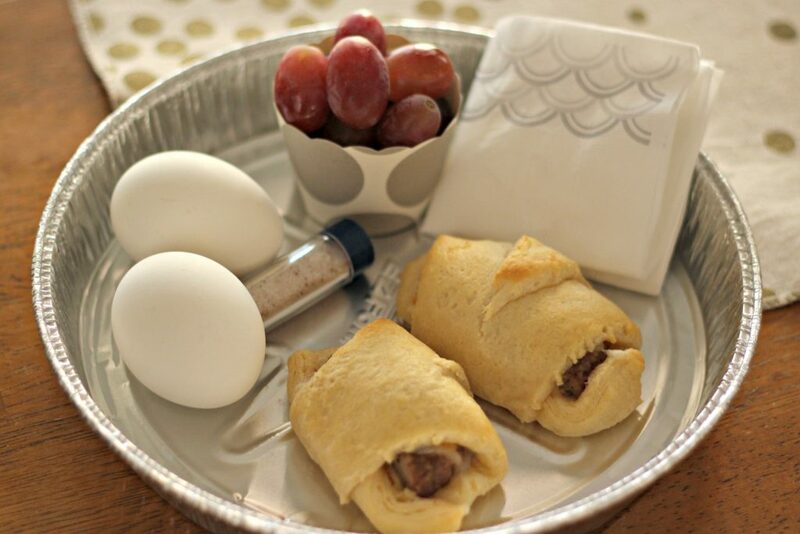 It can be hard to find the time to have a good breakfast during the week, but #jimmydeansausage makes it easier. 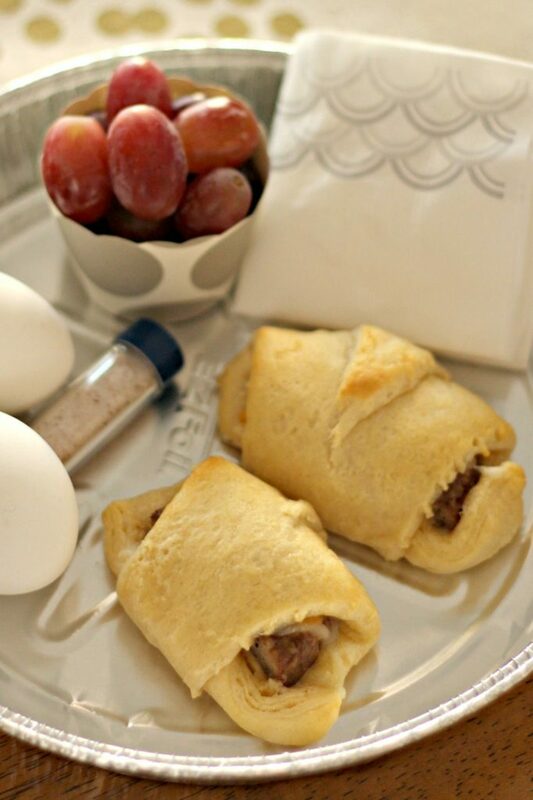 Thank you @TysonFoods for sponsoring this post and letting me share my Sausage & Cheese Crescent Sandwich recipe for a warm and delicious weekday breakfast. 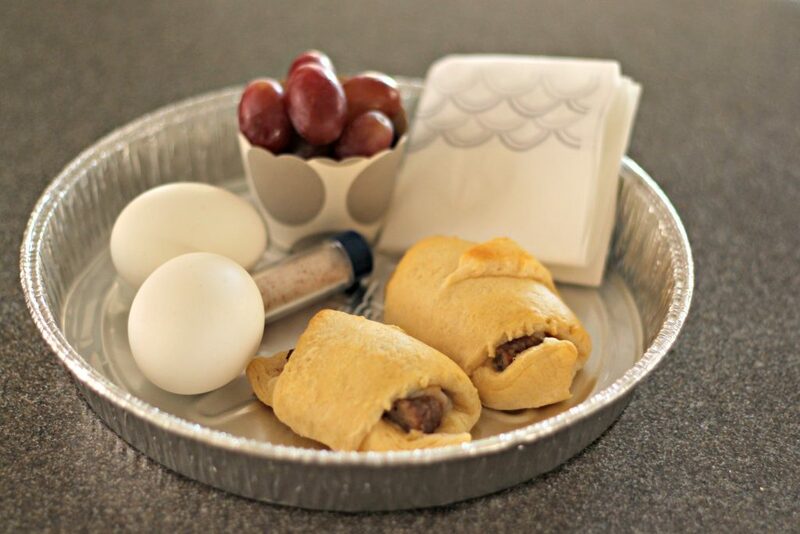 When my kids were young it was easy to make sure they had a warm breakfast before they headed off to school. I would get them up in the morning and while they were getting dressed and making their beds I had time to prepare a hot breakfast. Fast forward to them being in middle school and high school and everything changed. Some of them had early classes where they were out the door before the others even got out of bed. I was lucky if they poured a bowl of cereal or grabbed a piece of fruit before leaving the house. That’s not a great way to start the day. I had to come up with a way to make sure the kids and hubby were starting the day with a good breakfast. This is easy to prepare at the beginning of the week and just heat up what you need throughout the week. My time is limited so I love that Walmart has one stop shopping for all of the ingredients and supplies needed for this breakfast. 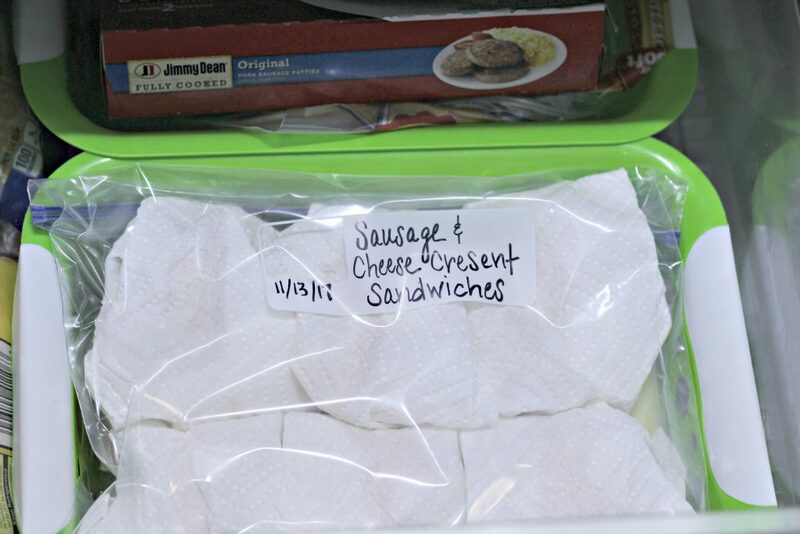 You can make all of the sandwiches at one time by deciding how many you will need throughout the week. 8 Jimmy Dean Fully Cooked Pork Sausage Patties come in each package but you will be cutting the patties in half for a total of 16. I also boil the eggs at this time for the breakfasts. 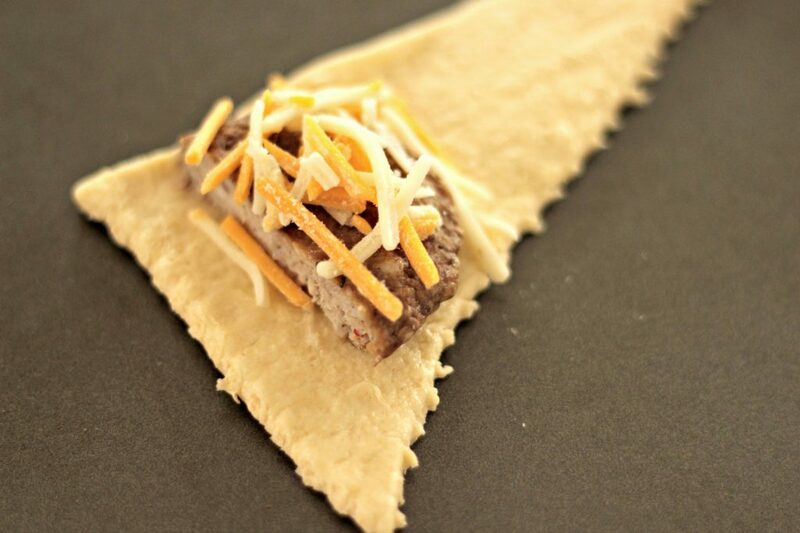 Separate the crescent rolls and place half of the sausage patty on the wide end. Top with a little cheese then roll the dough around the patty. 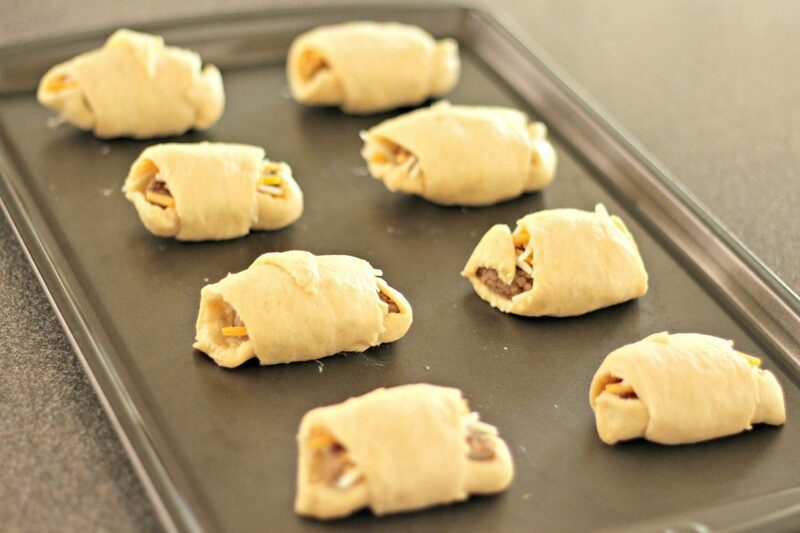 Place them on an ungreased baking sheet then bake at 375 degrees for 7-9 minutes. 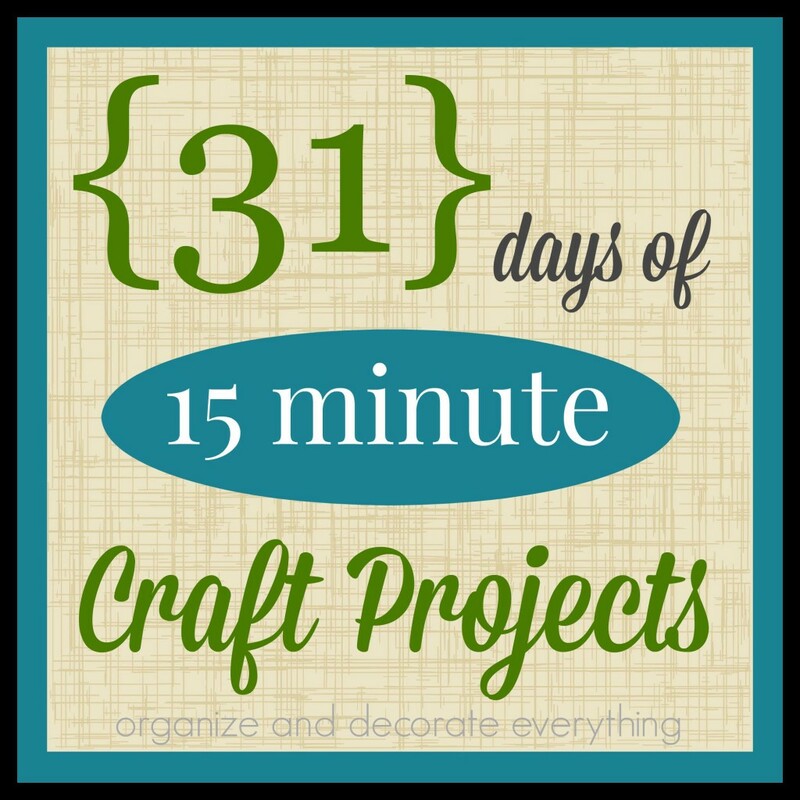 Total prep time is only about 5 minutes. You can’t beat that! Check the tops for a golden brown color. The sausage patties are fully cooked so you’re just warming them up while the rolls are baking. You can eat some now then let the rest cool before wrapping them individually in half of a paper towel. 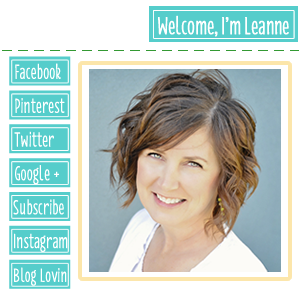 Place them in a large zip top bag and label the contents on the outside. I always write the date too. Don’t look too close. I spelled crescent wrong on the bag. Oops! 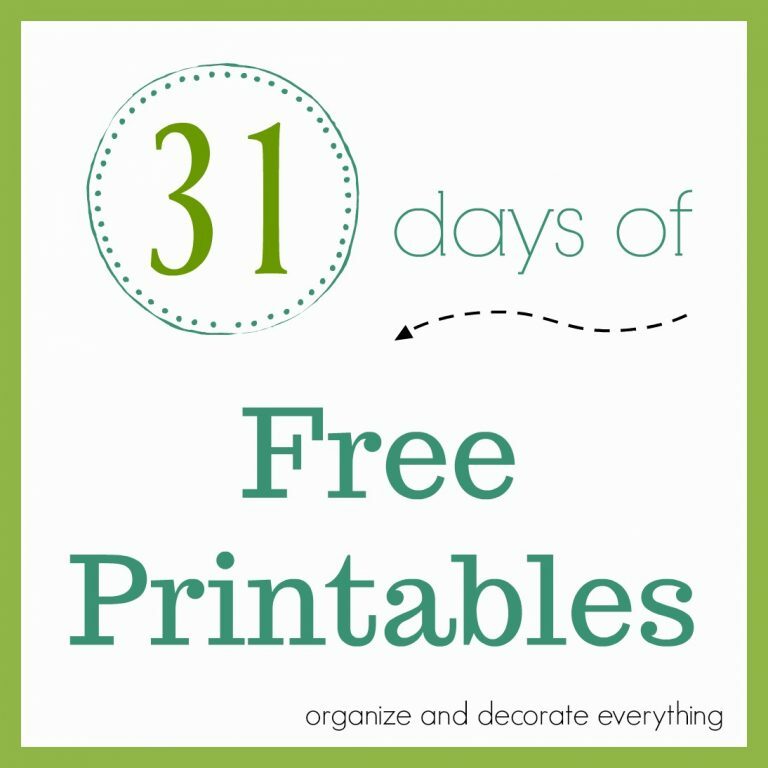 Place them in the refrigerator until ready to eat. Preparing a warm breakfast is fast and easy now. 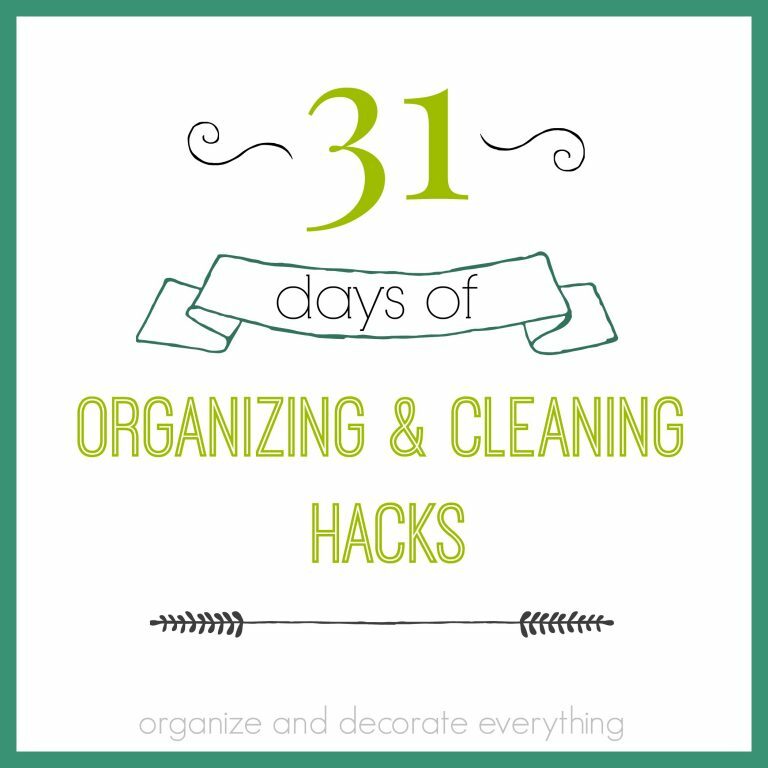 Take the number of sandwiches you need out of the bag and warm them up for 30-45 seconds in the microwave. Grab a couple hard boiled eggs and your kid’s favorite fruit and you have a delicious breakfast before they head off to school. Sometimes we still have to eat breakfast on the run so these foil pans are my favorite. They have sides so nothing slides off and it makes it easy for kids to eat on the go. It’s also a great way for hubby to eat a good breakfast during his morning commute. 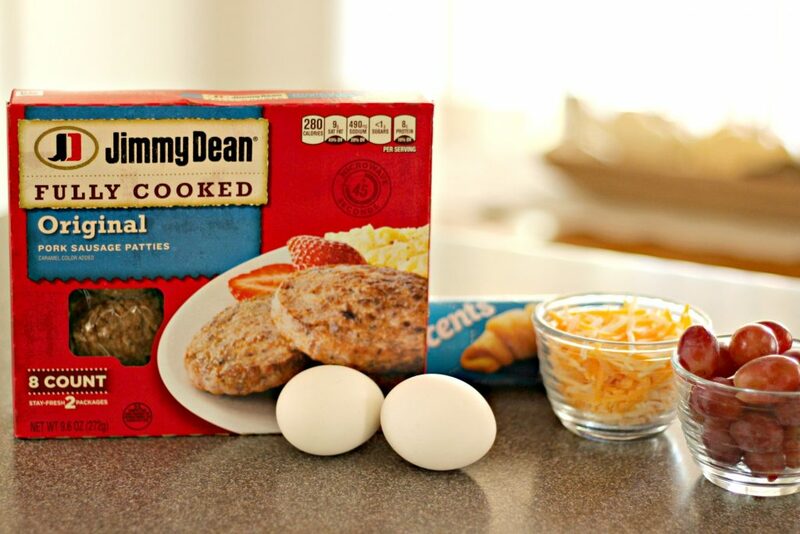 I like that Jimmy Dean makes it easy for me to make sure my family’s fed well before they head out the door for the day. 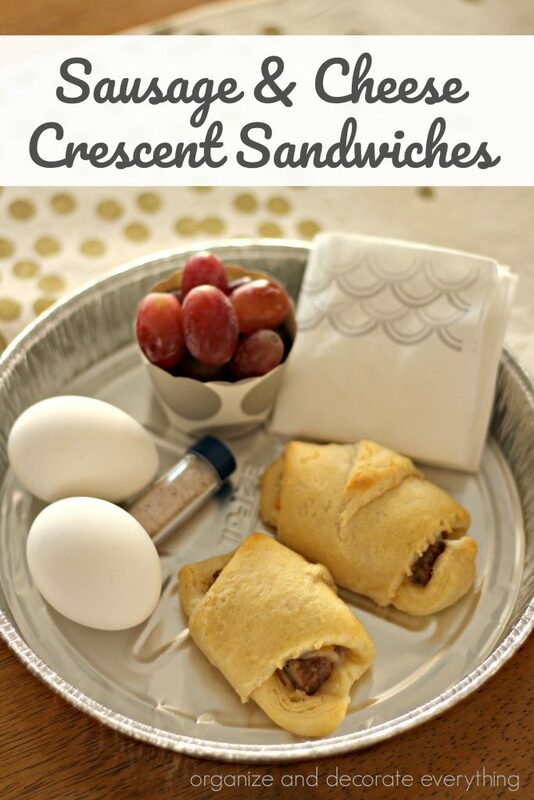 These crescent sandwiches are such a fun idea! These sammiches look awesome! 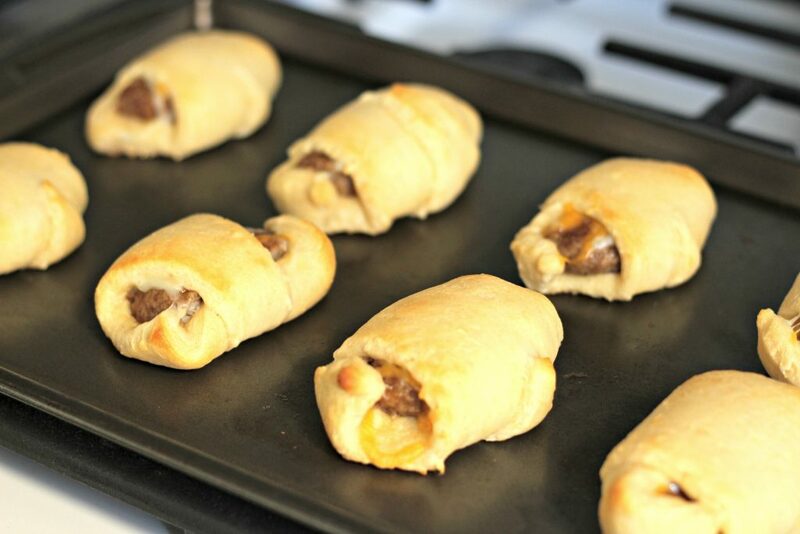 There’s something about sausage and crescent rolls that I LOVE.